Global conglomerate ITT Corporation settled civil Foreign Corrupt Practices Act charges with the Securities and Exchange Commission on Wednesday. The SEC filed a settled civil injunctive action in the U.S. District Court for the District of Columbia against New York-based ITT. The complaint alleged violations of the FCPA's books and records and internal controls provisions, Section 13(b)(2)(A) and (B) of the Securities Exchange Act of 1934. ITT agreed to disgorge $1,041,112, together with prejudgment interest of $387,538.11, and pay a $250,000 civil penalty. The SEC said ITT self-reported the violations, cooperated with the SEC's investigation, and instituted remedial measures. NGP, part of ITT's Fluid Technology division, bribed employees of Chinese state-owned enterprises to sell water pumps for large infrastructure projects. The payments were disguised as increased commissions in NGP's books and records. The improper NGP entries were consolidated and included in ITT's financial statements contained in its filings with the SEC for the company's fiscal years 2001 through 2005. The SEC's complaint said ITT did not make or keep books, records, and accounts which, in reasonable detail, accurately and fairly reflected the illicit payments by NGP employees and the related disposition of its assets. ITT also failed to devise and maintain a system of internal accounting controls sufficient to provide reasonable assurances that: (i) transactions were executed in accordance with management's general or specific authorization; (ii) transactions were recorded as necessary to maintain accountability for its assets; and (iii) access to its assets was permitted only in accordance with management's general or specific authorization. ITT discovered the illegal payments in December 2005. The company had a corporate compliance ombudsman program in place designed to receive and respond to anonymous complaints of alleged wrongdoing throughout the company. The ombudsman received an anonymous complaint from NGP employees alleging illegal payments to Chinese government officials by NGP employees. ITT is one of America's most famous conglomerates. From 1960 to 1977, under boss Harold Geneen, it acquired more than 350 companies, at times owning such brands as Sheraton hotels, Avis Rent-a-Car, Hartford Insurance and Continental Baking, the maker of Wonder Bread. Rand Araskog was CEO from 1979 to 1995. He restructured the company into just a few business segments. Today it concentrates on water and fluids management, global defense and security, and motion and flow control. It has about 40,000 employees in 55 countries and generates nearly $12 billion in annual revenue. ITT Corporation trades on the New York Stock Exchange under the symbol ITT. View the SEC's Litigation Release No. 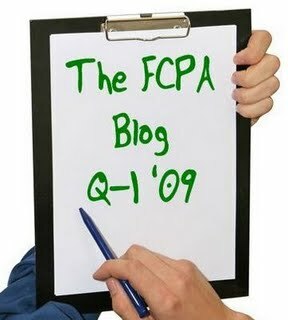 20896 (February 11, 2009) and Accounting and Auditing Enforcement Release No. 2934 (February 11, 2009) in Securities and Exchange Commission v. ITT Corporation, Civil Action No. 1:09-cv-00272 (RJL) (D.D.C. filed Feb. 11, 2009) here. Download the SEC's February 11, 2009 civil complaint against ITT Corporation here.